Cooking vector cartoon illustrations. 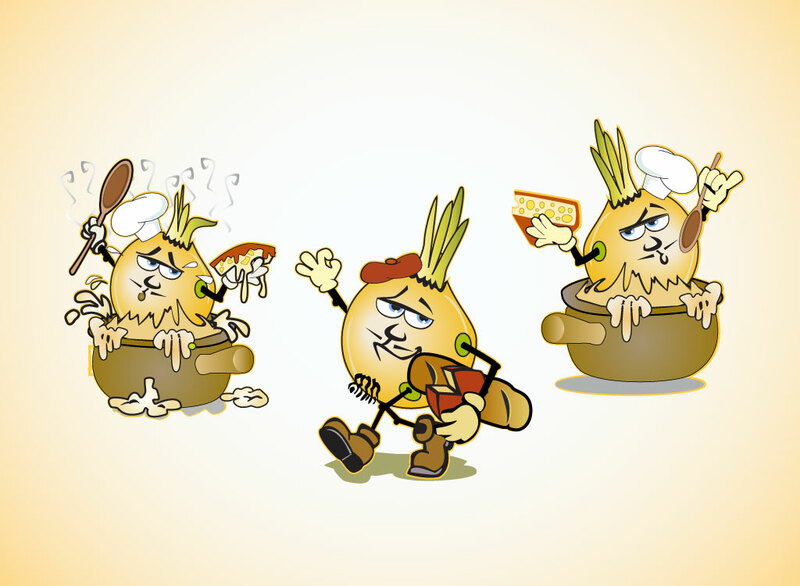 Three vector character illustrations of an onion. This cute graphic pack shows the onion as a Frenchman with a little mustache and beret carrying bread and cheese. Great concept design of French chef characters and cute cooks that are perfect for food blogs, fun cook books or even for a restaurant company mascot. Tags: Beret, Chef, Cooking, Cooks, Cuisine, French, Mustache, Onion Vector.